The first ultrasound changes everything. We had our first ultrasound this week, and it was so much more incredible than I could have even imagined. I was nervous walking into it, because this was the first time that we would be getting a peek at baby on the inside. What if there was something wrong with him/her? We were lucky enough to have the perfect sonographer: she seemed like she had been doing this a long time, was extremely upbeat, and hilarious! She explained everything along the way, and made me feel so comfortable. She even congratulated me on creating a baby with such strong bones. 🙂 I am so grateful that we had her doing the ultrasound. I didn’t expect to instantly connect with Baby through that ultrasound. I have seen a lot of ultrasounds, and I didn’t really expect how emotional it would be to see this little baby of ours up on that screen. He/she woke up in the middle of the ultrasound, swallowed amniotic fluid (we could see baby’s mouth opening and closing! ), put his/her hands above his/her head, and pulled up his/her leg to his/her head. I was completely engulfed in staring at that screen. I proceeded to carry the ultrasound pictures with me the rest of the day. I just can’t stop looking at them, even now. Gender: It’s going to be a surprise! How big is baby? According to the ultrasound, Baby is measuring ahead of schedule. Baby is 1 lb 2 oz already, and has a little pot belly! According to my app, baby is the size of a spaghetti squash. 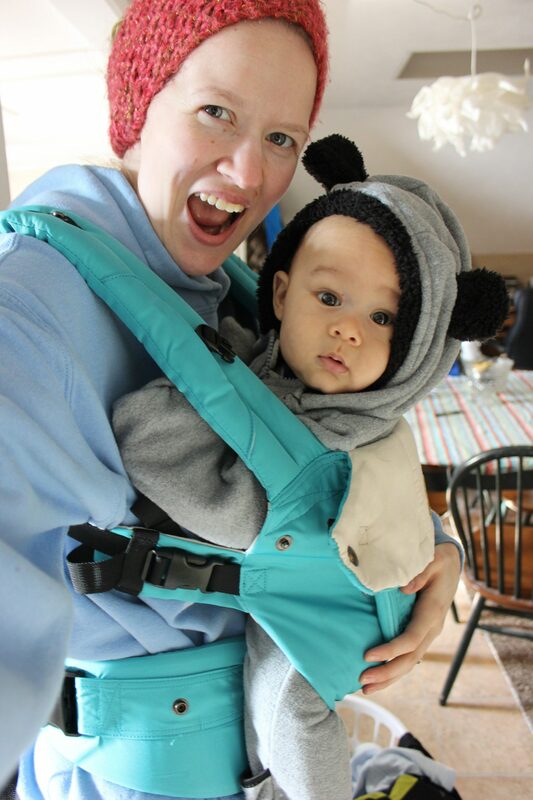 This week, baby: Baby’s grip is getting so strong now, that he/she can grab on to things. He/she might be playing with the umbilical cord (there aren’t many toys in-utero). 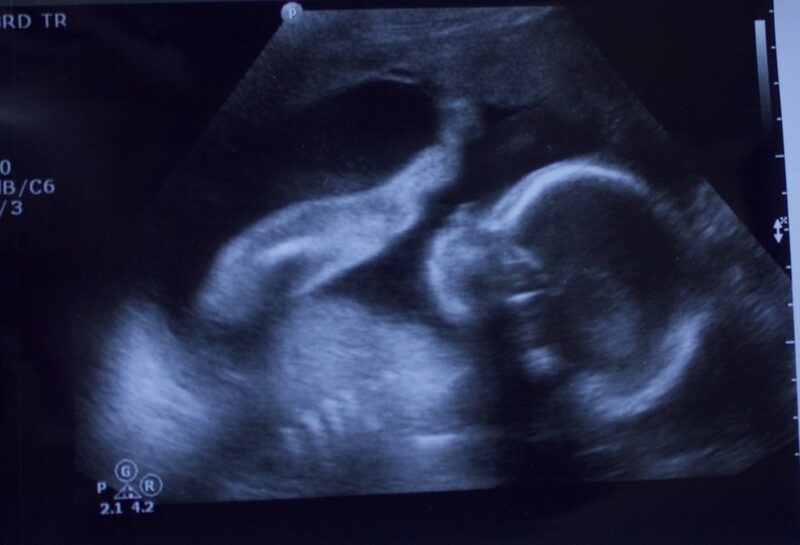 During the ultrasound, Baby woke up, reached up above his/her head, and then kicked his/her leg up to his/her head, and showed us how flexible Baby is! Ha ha. It was fascinating watching Baby swallow amniotic fluid, move those legs around, and more during that ultrasound. Exercise: Did you notice that I finally took this off of my bump date a few months ago, because I grew weary of always reporting that, once again, I hadn’t exercised? Well! I am adding it back on, because I am now exercising daily!! 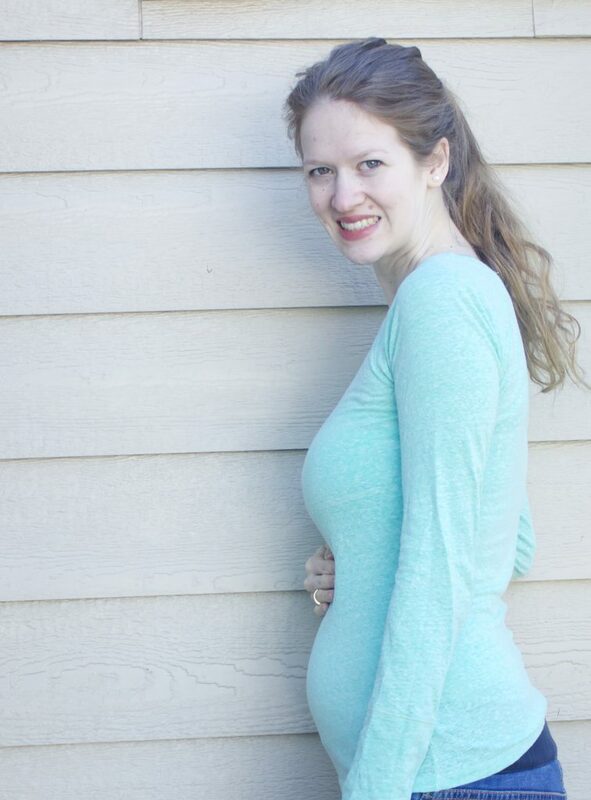 I wrote in my 21 week bump date that it was starting to feel real, and something about passing that half-way mark has made me start to take this whole labor and delivery thing seriously. My body is not ready to give birth, and I am determined to spend the next eighteen weeks working out, so I can build as much strength and endurance as possible before Baby L makes his/her appearance. I am doing Yoga with Adrienne workouts every other day, and the days that I don’t do yoga I do pregnancy workouts with Fit by Amy. I am, also, trying to sneak in several walks a week. Once I am done teaching in less than a week (YAY!) 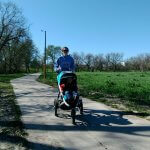 I am going to start walking every day, and just doing a 30 minute yoga/strength video in addition. I am making up for lost time! What I’m googling: “placenta previa”. Unfortunately, my ultrasound showed that my placenta is partly covering my cervix. If it stays that way, then I will have a high risk pregnancy, and will have to have a C-section. Luckily, my midwife and ultrasound technician both assured me that the placenta almost always moves by the third trimester (since it is attached to the uterine wall, it moves up as my belly grows), and from what I’ve read online 85-90% of placentas do move. So I am hoping that when we do a follow-up ultrasound, that placenta will not be an issue any more. Purchases I’ve made: I went garage saling this weekend!! I went to one garage sale with A TON of boys clothes, and another garage sale with a TRUCK LOAD of girls clothes. So I bought a few of each. Naturally. I, also, lucked out, and found TWO wubbanubs. A wubbanub is a pacifier attached to a stuffed animal, and they are extremely popular. I guess the stuffed animal is great for Baby to grab on to, and anchors the paci from falling to the floor. They are usually $14 on Amazon, and I got two new ones for a total of $1.75! At the sale, I got the penguin wubbanub and the puppy. Have I mentioned how much I love garage sales?! I, also, found a bellyband in my size for 50 cents! How are you feeling? This week, I had a new symptom crop up: struggling to breathe while sitting down. It didn’t happen all the time, but there were a few days that I just felt like there was tons of pressure on my lungs/wind pipe, and while I was sitting down I just had this tension, and harder time breathing. I think all my organs are just getting squished, and my body is adjusting to that. I talked to my midwife, and she said that was completely normal. To try to eat really small meals, frequently, and see if that will help. 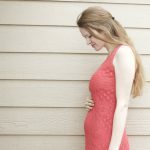 Maternity clothes: this was the first week, that I really felt like it was time to buy something maternity-related. My jeans have really started getting uncomfortable, and while I can just leave them undone, and wear a long tank top to hide it. I have been watching local Goodwill stores, but they never had jeans in my size. So I drove to a nearby town, and found THREE pairs of maternity jeans in my size for $1.50-4.00 each. I was so excited! I really don’t want to spend much money on maternity clothes. I try to thrift just about everything I wear, and I don’t see why pregnancy needs to change that. I just love a good bargain. Sleep: Sleep has been great! I am still waffling on whether I need to buy a pregnancy pillow or not. Any advice? Best moment this week: Definitely seeing baby moving on that ultrasound. I carry those ultrasound pics with me everywhere, so that I can stare at them whenever I want. I can’t believe that is our little chunky baby in there. Worst moment this week: Trouble breathing while sitting down, and trying to figure out a name for Baby. It is so hard! Miss anything? Since I have placenta previa, I have some restrictions to follow (no heavy lifting, no strenuous exercise, etc…) which is a bit depressing. Movement: Yep! This baby is a mover and a shaker. He/she squirmed his/her way through the ultrasound, kept swimming away when the midwife tried to take his/her heartbeat, and just generally is constantly on the go. This mommy is in trouble. Ha ha! Cravings: I really want a gyro. We’ve been to the big city 2-3 times in the last week, and we never got to grab one. But I’d really love one. Other than that, I love berries right now! Symptoms: difficulty breathing while sitting down, smaller stomach capacity, quick gag reflex, sensitivity to smells, and increased need to use the bathroom (every five minutes). How’s Daddy doing? Saia really has been bonding with this baby, especially since the ultrasound. I think that made it so real for both of us. Did you ever have a gut feeling whether your baby was a boy or a girl? Did it turn out to be correct? 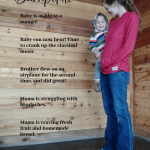 The Ultimate Homemaking Bundle is Back for 6 Days!! On the pregnancy pillow, I bought the one you linked to because everyone seemed to rave about it. For me personally, it was really really firm and I like to sink into my pillows more. I should have just bought a few extra nice pillows to use, especially because I now have this giant awkward shaped pillow just taking up space. But if you like really firm pillows, it might work great. I just love this post! I think that little babe has his Amma’s chin . .
Love this ❤️❤️❤️ What an exciting moment for you to see your baby for the first time. 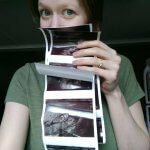 It’s so funny how different things are in different countries – the 20 week scan was my 3rd ultrasound during my pregnancies! 20 weeks was definitely my favourite one though. That is such a special moment of bonding! Did you learn the gender? Have any guesses? Or are you doing a reveal? I remember watching Rebekah’s “legs” kicking at 11 weeks, and after miscarrying before her it was the best sight in the world. And then watching her play with her toes and move all over at 20 weeks was amazing! I’ve also loved getting to see our boys weekly, which is crazy! But that’s the requirements for twins. They are doing well outside of their positions of course. At this point my arms are aching to hold them! Lol I just reread and saw the answer to my question that you are waiting for a gender surprise! Yay! I always thought that would be hard, but fun! We had friends convinced they were having a boy (carrying low, all the signs, etc) that were wonderfully surprised with a girl! So exciting! How exciting!! You’re going to be a great momma.